32 bit is on the way out "soon". The game should run better on 64 bit and modern DirectX, btw, there are more optimizations that are possible. If you are "eventually crashing" and get the error reporter, please make sure to submit your crash and describe what you were doing when you crashed. It really does help! Dojo spawnroom is still a bug.. As in the Hall(s) dont have the make spawn point option ( even as warlord / founder). ( This is an issue from the fortuna launch btw.) So by not be able to assign a spawnpoint you cant deconstruct your hall(s) / dojo. Pretty much causing the infinite loop of cant deconstruct your hall(s). I see the option in my clan...Is it a specific hall that has this problem? Which clan hall are you trying this on? Celebrate Amazon Prime Day with Warframe! Yeah, still don't like this 'need' to have twitch prime if you want some items. I know it's a business consideration but whatever happened to just being able to buy stuff directly from the warframe store with plat we purchased (not all of us trade for it) directly from DE. Now if we want EVERYTHING (on pc), we need steam, amazon prime, plat and straight up cash for prime accessories... think it's getting a bit excessive to have to get stuff from essentially 4 places (assuming I haven't missed any). This. If DE isn't making enough money from platinum, I'd rather see them overhaul the platinum system and leave the game 100% F2P, rather than these increasingly diverse systems that separate cash-in-hand players from those playing F2P. One of the reasons Warframe has enjoyed the success it has is a fair and open business model that does not divide the game into haves and have-nots. It was very straightforward about letting people trade their time for other people's money, and still enjoy everything the game has to offer. With first Tennogen and now these other cash-only exclusives where play time cannot be converted into items, I'm....really not liking the direction that this is going. 1.) The screenshot has to be taken using the F6 key. Using this embeds debug information into the image file. 2) You can't host the images to Imgur. It removes the embedded data that would help the level artists find the problem. Then, at the top right, "Submit a request". You can attach your F6 screenshot as a file. Doing it this way will keep the debug info attached. Please, PLEASE fix orbiter decoration lighting on argon/rubedo/gallium. Let us mod for lower/slower decay rate﻿﻿. Already a thing. Power Duration affects how much decay per second you suffer while nothing is spored, and Power Strength affects the stack cost for re-casting the ability. The Zarr doesn't work properly. The projectile should explode right after touching the floor no ? Because now there is a big delay between when it hits the floor/an ennemy and when it actually explode and divide into a lot of little grenades. does the dojo assault course need to be destroyed to obtain the new version? still have the old assault course in my dojo. "Unfair to people without a cat" it's not an exclusive item. Go get your own cat. To me it's unfair to get this gear and not see any benefit over S#&amp;&#036;ters like you who want the game to be even more noob friendly than it already is. Us veterans have no challenge and frankly it's insulting to say the things i worked for give me an unfair advantage. First off, no need to be so hostile. I've been around forever, I've seen the game through the years, I understand the lack of challenge and it weighs heavily on my soul. But it's not about fairness in the sense of having "earned" the extra rewards. That's not what I'm saying. The problem here is that there is quite simply nothing else that boosts kuva drops. You don't use the cat because you like the cat, you're forced to use it because no other pet doubles the kuva you get. It restricts the practical variety of stuff that players can pick to the only one that has any effect on kuva farming, the same way that only one kind of pet having any effect on the operator made it so there was an obviously correct choice for hunting eidolons. It bothers me that a game mode is so obviously favorable to one specific pet out of the many other options we have. You "could" use other pet types for kuva survival, but why would you, since you are knowingly throwing away mission rewards unless you use the loot cat. When the game has 16 different kinds of companion available, I want the freedom to use the one that suits my play style and not be forced to use the only one that boosts this game mode. Making kuva "cat friendly" is the same thing as making it not fair to everybody who's not using the cat. DE just fixed cat buffs applying to operator because it put weird artificial gear selection pressure on eidolon fights, so why are you keeping that same kind of synergy here? Will you introduce game modes for other companion types, where if you're not using the obviously superior choice then you're just wrong? Where and when can I expect to get double loot for using a Raksa or a Dethcube? Nerfing Guardians isn't awesome. This is one of the very few enemies in the game that has any real strategy or sequence of events you need to do to beat them. The bash-and-dash mechanic is not complicated once you understand it, and it's mildly satisfying to be able to do it quickly and proficiently. If players aren't able to do this maneuver, then it's a problem with how it's exposed in War Within not an indication of a problem with the design itself. Instead you've opted to increase Guardian's firepower, when they were *already* brutally powerful at Flood levels and capable of killing non-tank frames in one shot. The initial premise of the Focus system was going to be that it was an overflow for all the XP that would otherwise go to waste while using max ranked equipment, but it has now become a dedicated activity in itself. How does DE feel about the enormous difference in the amount of focus gained between ordinary gameplay versus targeted farming, and how will that relate to the diminishing returns XP system you suggested some time ago? Take off Arcane Aegis mate. Need more information, not seeing it. "Overall, how much do you enjoy the Plains of Eidolon?" 7/10. The biggest problem for me is that it's a lot more fun alone or with a good friend, and falls apart when you bring matchmaking into it. Distances are very significant, so players that bring frames with high mobility features can easily leave team mates in the dust, and there's nothing stopping them from killing all the enemies or starting mission objective before anybody else can catch up. Also, not all players wandering on to the Plains are after the same thing. 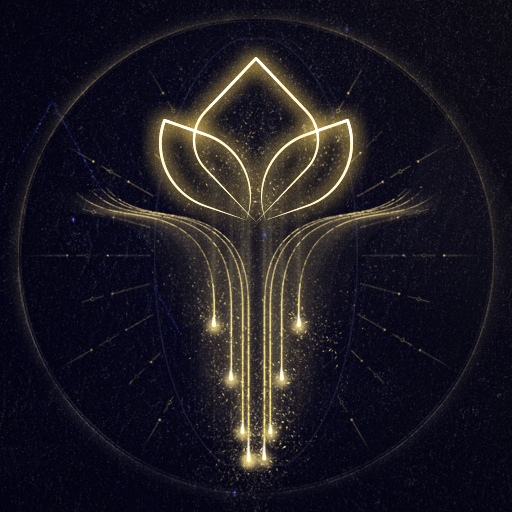 Some want to do bounties and incursions, some want to just fish, and the game doesn't enforce or provide specific matchmaking tools to facilitate this. Which is a much bigger problem here in Warframe than in typical MMOGs, since there's a maximum of 4 players on a team and dropping in/dropping out dynamically is a bit iffy. "Overall, how well is Plains of Eidolon integrated into the rest of Warframe's existing content?" 3/10. Plains enemies are unique to Plains. Plains resources are unique to Plains. Plains progresssion is unique to Plains. Plains characters are unique to Plains. It's largely a self contained system. Though I understand why you did this for progresssion and resources. "How much are you looking forward to future "Open Zones" in Warframe?" "Overall, how much do you enjoy Cetus as a hub for the Plains of Eidolon?" 7/10. I enjoy Cetus as a location and as an example of world building, but it's annoying to have to keep passing through a significant loading door any time any time you want to do anything. In an ideal world, it would be nice to have better integration between the merchants/progression system and the gameplay space. "Please rank the members of the Ostron Community in order of how valuable you believe they are to your experience." "How would you rank the experience of navigating through Cetus?" 5/10. Meh? The biggest problem for navigation is finding the Quills, there are no hints for this. But everybody else now has a marker and you can use fast travel. "Are the variety of resources and items available through Cetus beneficial to Warframe?" 4/10 on resources: We're going to get more Landscapes, and each one is going to have its own batch of Stuff to collect because you don't want veterans to walk in and buy everything on day 1, and that is sensible. However the UI isn't set up to give us information about where to find it. When we eventually have hundreds of different crafting ingredients and your only clue is something like "Alloy pellets used in Grineer manufacturing"... okay? The foundry or codex needs to indicate the provenance of ingredients in a clearer way with better cross-linking and the map itself needs to include resources on Landscapes like it does from standard mission nodes. I shouldn't need to check a wiki to know where to find <foo>, and that's where we are heading at the moment. 8/10 on items being unique to landscapes. Gives a tangible reward for playing in different places, where a lot of other Warframe mission nodes languish unplayed because there's nothing unique/attractive about them. "Overall, how much do you enjoy completing Bounties?" 8/10 More interesting than many other missions since there are multiple objective types in one package. A lot of traveling time in some cases. "Do you feel that Bounties reward a fair amount of Standing given the time and skill requirements?" "Do you feel that the item rewards offered by Bounties are fair given the time and skill requirements?" "Do you feel that each Bounty has an appropriate level of gameplay variety?" 6/10. It quickly becomes obvious how bounties work and what the building blocks are. It's a step in a good direction, but it needs a bit more chaos. In other missions, Lotus can change our objectives on us, or we can be invaded by special enemies. It would be nice to have some random mutations on bounty objectives, like Corpus crashing your party with a delivery of robots, or getting 'help' from some militant Ostrons and getting a bonus for how many you can keep alive. "Overall, how much do you enjoy fishing?" "Do you feel that the resource requirements for fishing equipment are fair?" "Do you feel that the resource and standing rewards for Fishing are fair?" 7/10. Fishing may be too profitable, it doesn't feel like an alternative way to gain standing with Cetus so much as the most efficient way to gain standing. The Ostrons themselves can fish, they shouldn't need an outsider to save them from having no fish or reward you as their savior for doing it. What they can't do is fight the grineer off. "Do you feel that the fishing gameplay mechanics are intuitive/easy to pick up?" 8/10. New descriptions on fish/bait helps clarify where and when to look for different species. The exact mechanics of how bait works are still frustratingly opaque. "Overall, how much do you enjoy mining?" 3/10. It's not nearly as interesting as fishing. "Do you feel that the resource requirements for mining equipment are fair?" "Do you feel that the resource and Standing rewards for mining are fair?" 4/10. Only gems can be turned in for reputation, 75% of stones will give ores instead of gems, and what gems we do get are not worth much. "Do you feel that the mining gameplay mechanics are intuitive/easy to pick up?" 8/10. Mechanics that need greater transparency are 1) Aim at a stone longer to make guide lines last longer and 2) Which ones are the "Eidolon gems" and how you get them. "Overall, how much do you enjoy fighting Eidolons?" "Do you feel that the difficulty/skill requirements for fighting Eidolon are fair for experienced players?" 2/10. ...but it's far, far too easy for an experienced team. Players complete it multiple times back to back because it takes so little investment. With appropriate healing support you almost don't even need to care what the Eidolon is doing because you'll survive it, and with relatively simple DPS amplification, one shot from one player is enough to finish each stage. Also the fact that the fight does not scale to the number of active players is completely unfair for players who prefer to play solo. Solo players will have to have to spend significantly more time and effort and skill on the fight than teams which can steamroll it without a challenge. "Do the Eidolon fighting gameplay mechanics require a balanced level of strategy/planning?" 3/10. 90% planning and 10% actual strategy. Read a How-To guide to learn the team comp and you barely really interact with the Eidolon and its attacks. You spend a minute preparing then do the same thing 4 times in a row. Nothng unpredictable happens during the fight, it doesn't abruptly change the rules at any point, which means planning can defeat the intended challenge utterly. "Is the multi-stage progression of the Eidolon fight beneficial to Warframe's boss design?" 10/10. The concept is solid, it just needs to switch gears more significantly to prevent there being One Meta To Rule Them All. "Do you enjoy the scanning of hidden glass fish to uncover Ostron lore?" 8/10. I enjoy scanning things to find lore, though maybe something less artificial than a glass fish. We have tons of ruins and dead machinery lying around, why doesn't any of that have cool secrets to reveal? "Do you feel that the plants and animals of the Plains of Eidolon create a compelling environment?" 5/10. The flora is all fine. In terms of fauna, birds never seem to be doing anything and rabbits just run away or die randomly to AOE before you even notice them. Where's the kubrows! The Ostrons mention them, and wild Kubrows have way more "life" to them. "Do you feel that the placement of Grineer patrols and camps is well implemented?" 7/10. The camps all make sense though I would like to see more obvious "patrol routes" where Grineer set out from camp and try to reach some other camp or outpost, instead of randomly being hot dropped into the middle of nowhere. "Do you feel that the difficulty scaling of Grineer enemies progresses fairly throughout the Plains of Eidolon?" 8/10. A handful of exceptions but mostly fair. "How long have you been playing Warframe?" Monday, September 25: This week in Warframe (PC)! What we are asking for may be perfectly reasonable but it is hardly an industry standard. Only a handful of games give you full drop table chances and none are big names. People act like they are entitled to this, but while it would be great to have, it would actually make it an exception among online games. I'm glad that I'm not the only person who thinks this way. Sharpening our Razorbacks: a PC weekend post-mortem. Any thoughts on reducing the polymer cost of the razorback ciphers? Many players found the 3500 each to be painfully high. Given the chance of finding each weapon part and the need for repeat runs, this potentially made gorgon wraith one of the most expensive items in the entire game in terms of polymer. Have you seen any real effects from the recent rebalance of weapons? Are people abandoning their Telos Boltace and Synoid Simulors in favor of Hinds and Miters? Yet that still doesn't change the original point. The original point is that "if your pet goes down while you're in operator mode it just outright dies and can't be revived". I disproved this theory. Your bug report is inaccurate, there's more conditions or different conditions that make the problem occur. I'm not trying to be a jerk or anything :D Just, if you want DE to fix a bug, focus on breaking down exactly what demonstrates the bug instead of saying "Why is this still not fixed!?". A developer is going to try doing the same thing I tried, not see the bug you're complaining about, and move on to other things they CAN find. I also tried running dog with full mod load (it takes forever to get downed....) and still didn't see "pet dies if it goes down while you are in operator mode". Does this ONLY happen on kuva floods? Details. Video ideally.